Thermal printers and other printer office tools are devices created to transfer texts or designs from a digital system to a surface such as a paper. These and others, for example ink jet and laser printer varieties, are commonly found in daily life for a family or even at the office. At home it is uncommon to use thermal printers, it is normally used for administrative proposes. This device offers presentations in the form of fax machines and multipurpose printers. However, thermal printers are taking over buyer-side of the market, gaining reputation as point-of-sale devices. The thermal printing process operates in one of two ways - however the main factor is heat. The method in classic thermal printers require applying a special heat-sensitive paper during the whole process. A roll of this type of paper is situated in a receptacle which the machine provides, and then the end of this roll fed into a printer slot. The sheet produces a reaction to the heat of the thermal printer head; the colorants on the heat-sensitive paper provide the letters and images as transferred from the printer head. For newer models of thermal printers, printer cartridges are used in the printing process. A waxy material is in the interior of the ribbon cartridge. During the printing process, paper is fed through a slot which is located between the print head and the roller. Heat dissolves the substance from the ribbon onto the paper to create the text or the design. The cartridge covering and base material keep ink from sticking to the printhead as this may result in poor print quality. However, it is recommended that the printhead is cleaned between every ribbon change using a cotton swab and isopropyl alcohol. Both newer and older types of thermal printers are available in many places. A thermal printer is not usually found in the home. The primary usages of thermal printers are mainly in businesses or stores that require a point of sale (or POS) receipt printer. Additionally, many offices have thermal printer technology in their fax machines and multi-function printers (MFPs). The price of a thermal transfer printer differs depending on the size of the device and the characteristics included. The cost of commodities such as ribbons, paper, and printheadsis about equivalent for both types of printers. The print grade depends on the type of printer, the ribbon, the paper, and the location such as where the printer is located, the temperature, and the humidity. Consider these factors when selecting a thermal printer.Omnidata Services Group,LLC are experts in thermal printers and thermal printing technology.ContactUs for consultation and information. Thermal label printers and thermal transfer printers work with a minimal total number of moving parts, which means less management and manipulation for you. Keep your thermal printers working with efficiency by stocking up on materials like transfer ribbons, thermal paper rolls and the platen rollers that provide paper through the thermal printer. 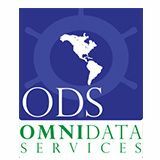 Omnidata Services Group, LLC maintains a supply of these accessories for your needs.